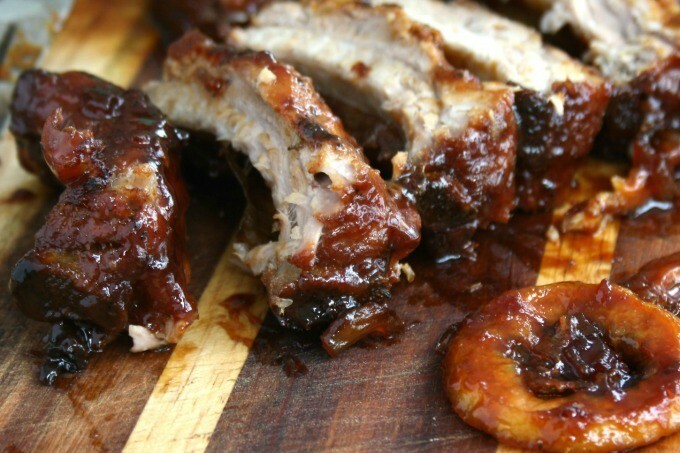 These oven baked spareribs are an effortless treat. They take all of five minutes to put together and then bake in the oven for about 2 hours. All you need to do is baste them a few times. This is a recipe from my childhood, one of those memorable meals that my mom would make from time to time. It’s a good recipe for spring, on those days when you want that barbecue feeling without actually setting up the barbecue. My kids devoured these in an instant. No wonder — they’re tender and the sauce is irresistible. My favourite part though is lemon. Sliced thinly and laid on top of the ribs before baking they caramelize so can be eaten. Please, eat the lemons! The nutritional count assumes that your will lick up every drop of the sauce. As delicious as it may sound we find that there is always at least 1/2 a cup of sauce left in the pot. 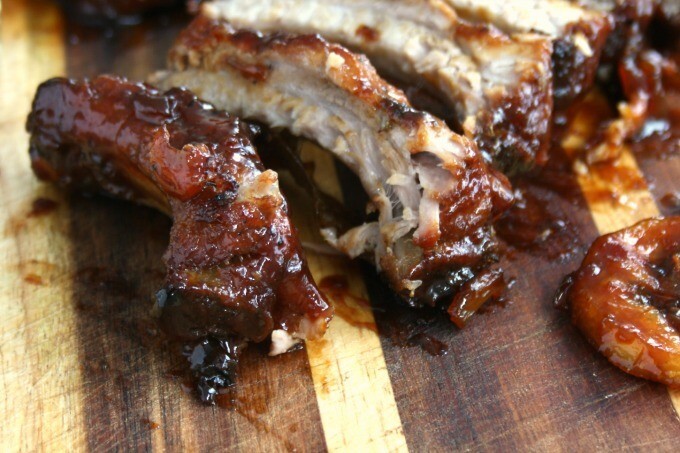 Barbecue version: You can finish these ribs on the barbecue. Lift them out of the pot after about 1 1/2 hours, shake off the sauce and grill over medium for 3-4 minutes per side, basting with remaining sauce. Spicy version: Substitute Asian chili sauce for the tomato-based chili sauce called for in the recipe. Place ribs in a covered roasting pan or Dutch oven. 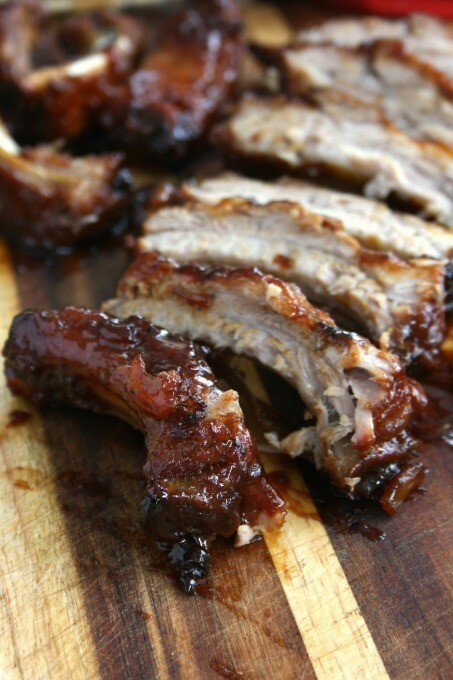 Pour half of the mixture over the ribs, cover and bake for 60 minutes, basting once with another spoonful of the sauce. Remove lid and continue to bake for another 45-60 minutes, basting a few time with remaining sauce and pan sauces. Cut into individual ribs and serve.